That was an interesting day!!! I went to bed early last night. Not a normal thing for me. The last thing I remember was looking at my FB page at about 11.00 (early for me) and noticing that a friend was in the square enjoying the evening street music. I contemplated getting dressed to go and find her but that’s the last I remember……that is until 3 am when I woke with a feeling something was wrong. I picked up my phone and saw with horror that my friend had posted an urgent “help me”plea only half an hour after I had gone to sleep. That was 4 hours ago. I read her posts and started to panic. She had a freak accident and had been taken to hospital , having posted that her hotel room looked like a murder scene). Alone and scared, unable to speak Spanish, she had to wait in the triage area while they checked her insurance etc and she was haemorrhaging all over the place. Eventually she was seen to and sent outside to find a taxi back to her hotel. I figured she would be asleep, so I waited till dawn and sent her a message saying I was coming to help her. I knew where she was staying. I grabbed a book that I had in my bag and also some foot massage cream, went to the supermarket and got her some water, bananas and chocolate, but in a city of thousands of people I bumped into Angela and then Tony! What are the odds of that?! Anyway, I eventually got to Patti and helped her out. We sat chatting for ages, discovered we are both wanting to get to Barcelona on the same day, so booked air fares and we will go together on Monday. She has been ordered to lay down all day, but we went downstairs and had a fabbo gourmet lunch. I left her feeling heaps better, just knowing she has someone nearby more than anything. It must have been terrifying and I was just lucky that I was around the corner, but I can’t help thinking… if only! Funnily enough, this popped up on my page today. How apt! 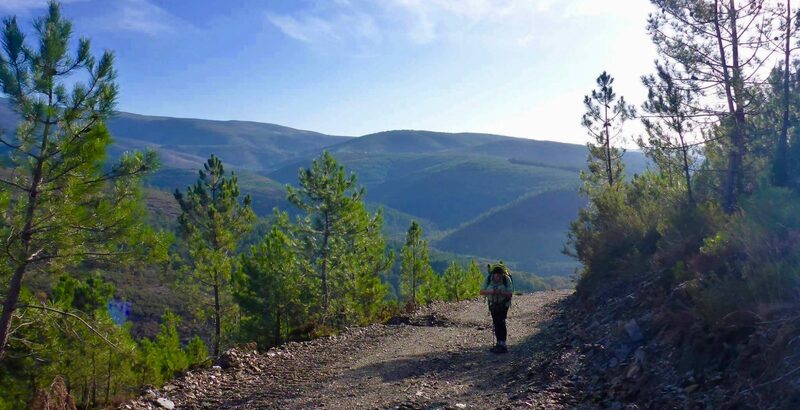 as you may have seen from my FB page, I also had the sad news that one of the ladies I recently took on my Portugues Camino had died very suddenly! She was a beautiful person. The one that “already had it” in my recent blog. A gentle calming personality, full of joy and appreciation for life and her hilarious one-liners always made us all laugh. She seemed the fittest of us all and never complained. Her muscly legs were not those of a woman of a certain age, but more like that of an athlete , and she was telling me that she even loved skydiving. Can’t believe it!!!! We are all in shock. Apparently she loved the Camino so much, she had already organized to walk another one next year. So, I have had a really interesting but sad day today. When I left Patti, I felt the need to meditate and be on my own. I wandered over to the park behind the end of the Frances Camino and sat at the highest point overlooking Santiago. I let the sun warm my face and gazed up at the sky, grateful for all that I have and all I have experienced in life, made very aware today that you don’t know how long you are here for. I was there for ages and sat with a young uni student called Carmen, and took some photos of the sun setting behind the cathedral. Thank you so much for enriching us with this heartfelt page. With out hearts open the world embraces us. With OUR hearts open the world embraces us.